As I mentioned recently in this recipe, peanut butter is my desert island food. If forced to choose one thing to eat for the rest of my life, I would pick peanut butter without hesitation. I never, ever tire of it. 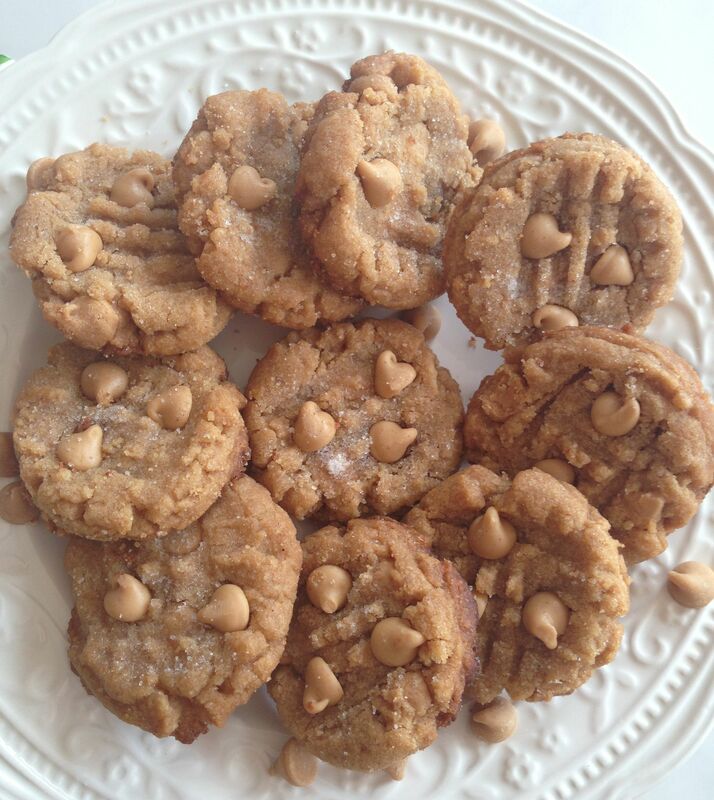 My beloved Grandma, often mentioned on the blog, has a peanut butter cookie recipe that we’ve used for years. 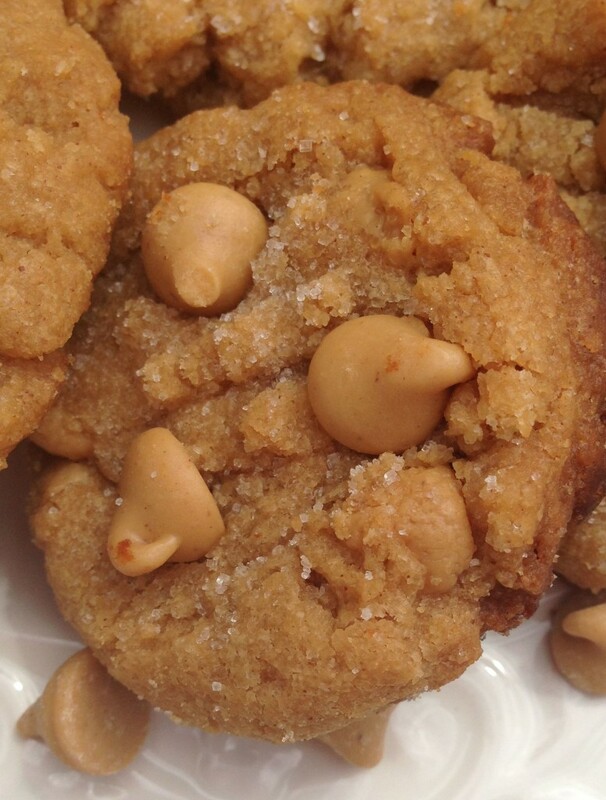 It’s a great recipe – reliable and peanut buttery. 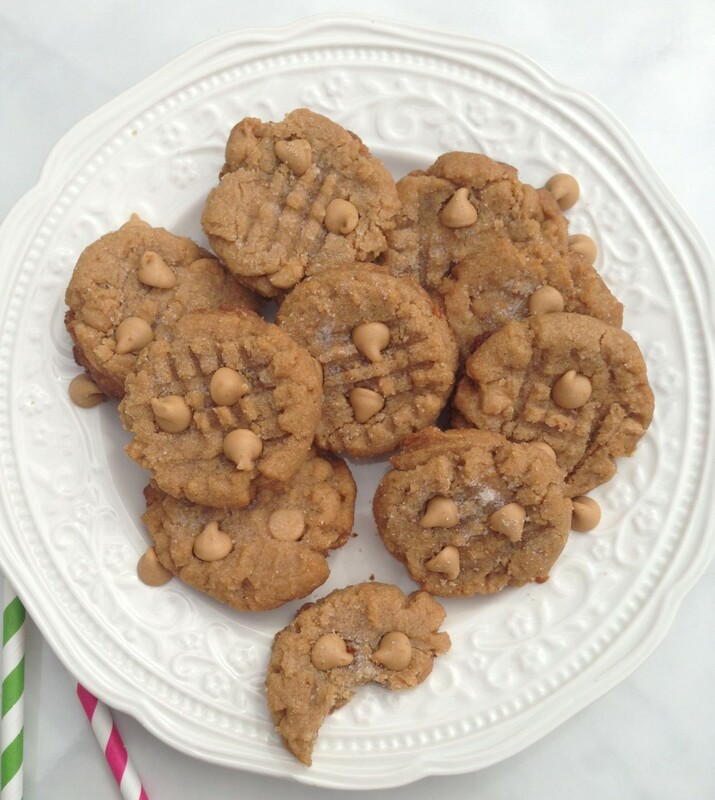 However, much though we love that rendition of a PB cookie, I have a back-up recipe that is super simple, fast, and easy. It only has a handful of ingredients so it’s altogether simpler. It’s been very handy in situations where I don’t want to show up to a party empty-handed, but I don’t have time for anything more complicated. For example, we were attending a party this past weekend and I knew there would be cake and ice cream, and I knew what kind of cake. I didn’t want to bring anything duplicative and it surprisingly limited my options. I was also short on time. I couldn’t wait for things to cool from the oven or to set in the refrigerator. 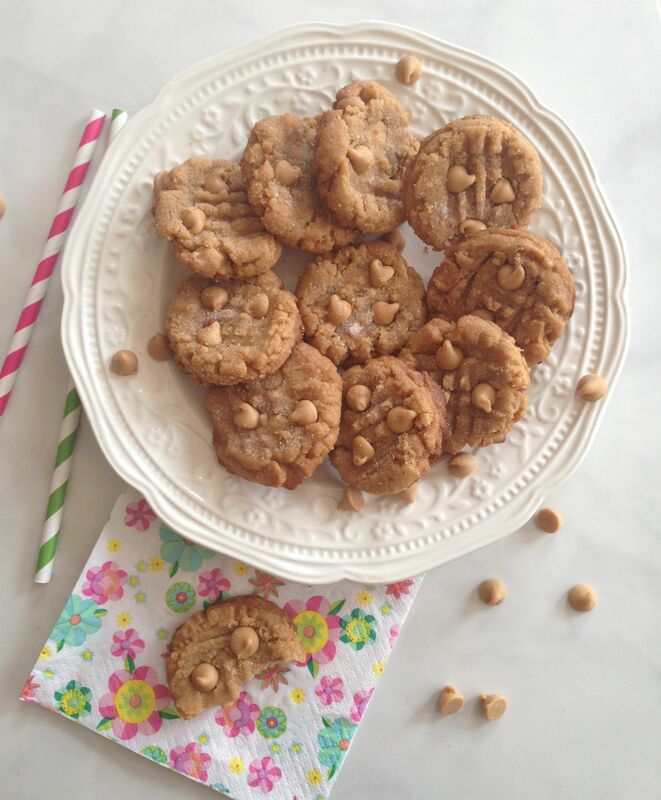 These PB cookies came to the rescue. Quick, easy, and provided variety. It’s a funny thing how this recipe landed in my hands. Back in high school, I dated a guy who adored all things peanut butter. I mean, who doesn’t? Most people are as bonkers for peanut butter as me and my former flame. However, he really loved peanut butter exceptionally. I’d watch him down package after package of Reese’s Peanut Butter Cups without batting an eye. For him, it was a totally normal, everyday snack after school. Given my fondness of baking, naturally, I would make him my Grandma’s peanut butter cookies, Peanut Butter Pie, and other PB-based desserts. I remember a day in high school when he told me that a classmate of ours brought peanut butter cookies to school for a home ec project, and he said they were the most peanut buttery peanut butter cookies (say that 10x fast) he’d ever had, and that I had to get the recipe from her. I was intrigued, so I did. I was astonished at the ingredients. She hand-wrote it from memory on a piece of notebook paper and I couldn’t believe it. It couldn’t be right. No flour? No baking powder? Whaaaat? Preposterous. Well, he was right. The recipe was great! These are delicious. I still keep in touch with both my high school sweetheart and former classmate. I really ought to thank them again for this little gem of a recipe! 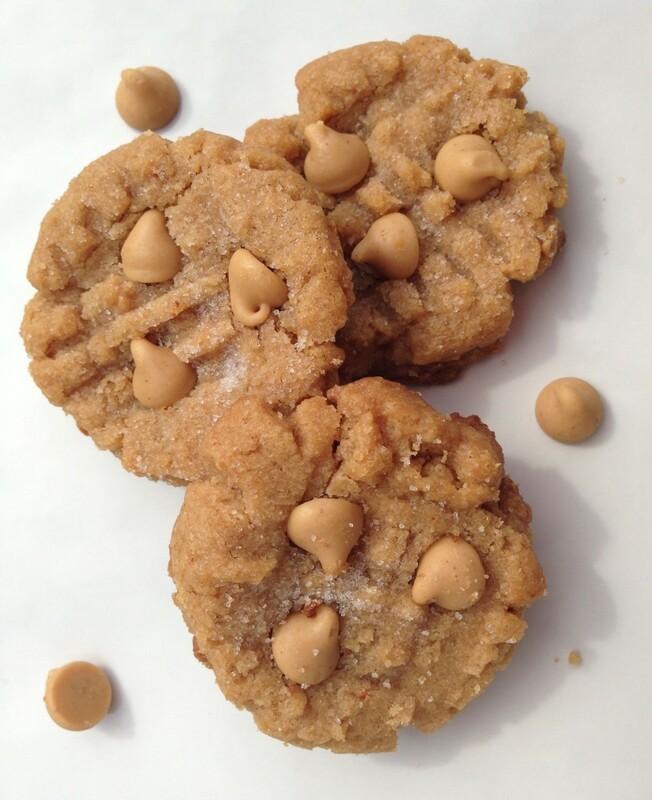 These truly are the most peanut buttery cookies ever. 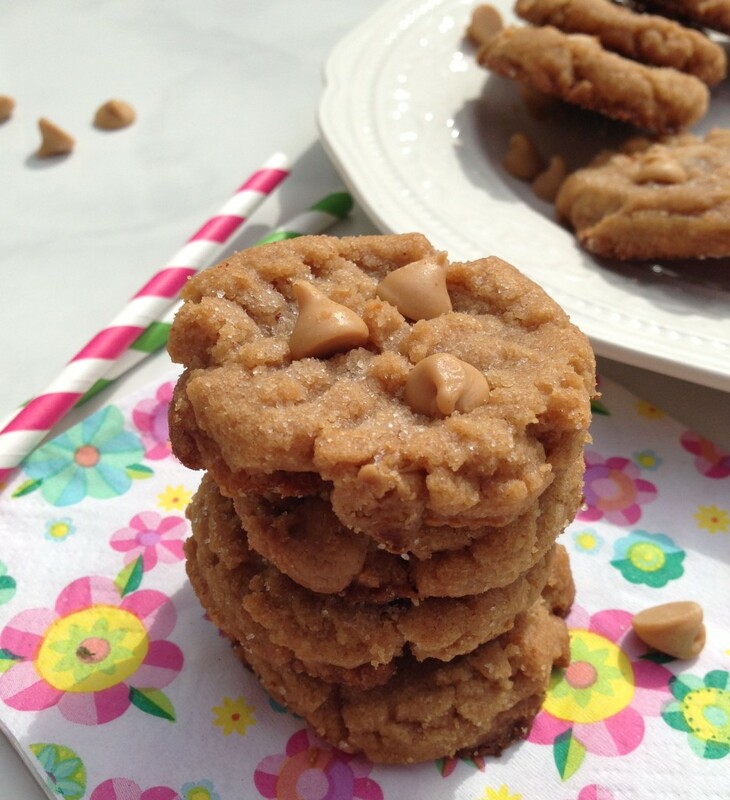 I’ve made these a number of ways… with creamy peanut butter, chunky, added in chocolate chips, you name it. It’s quite versatile. It all just depends on your mood! 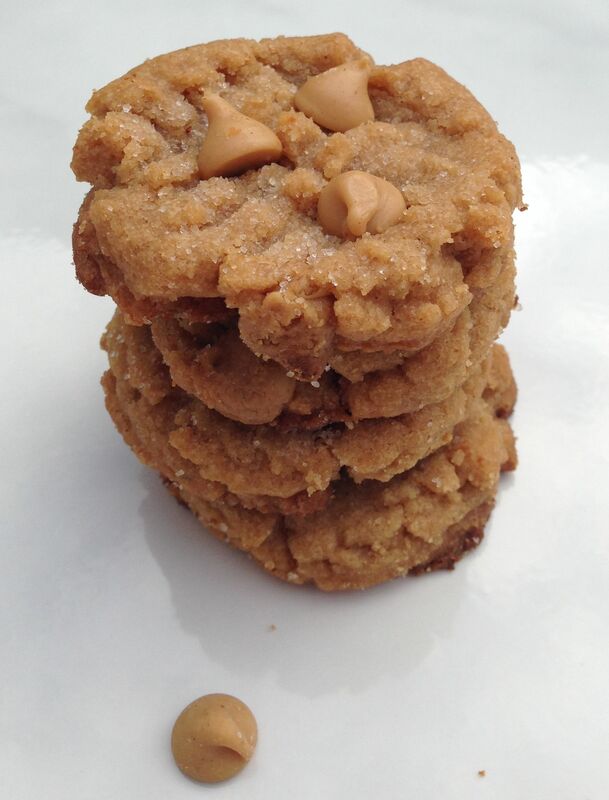 One of my favorite variations though is to toss in some Reese’s Peanut Butter Chips. It probably seems redundant, but it’s totally not. 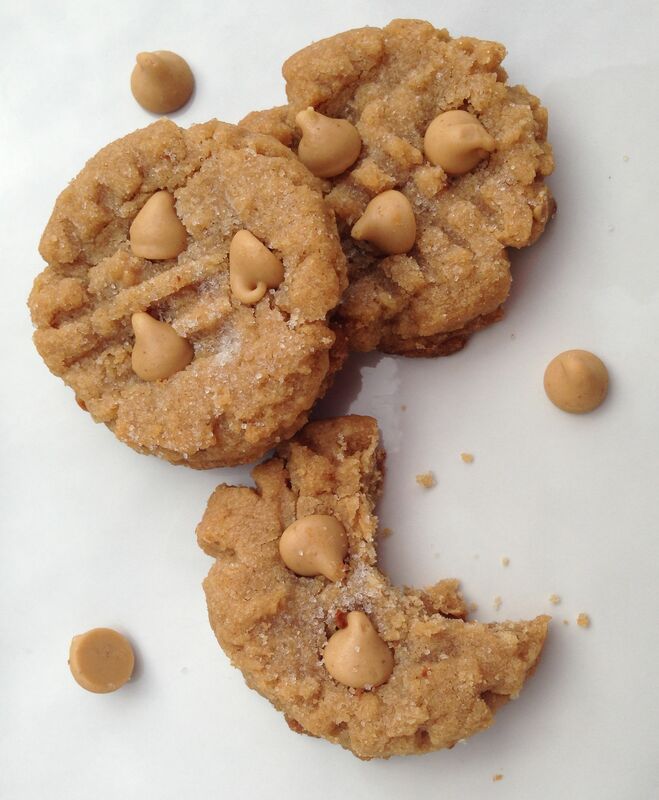 There’s something about the burst of creamy peanut butteriness from the chips that really adds to these. 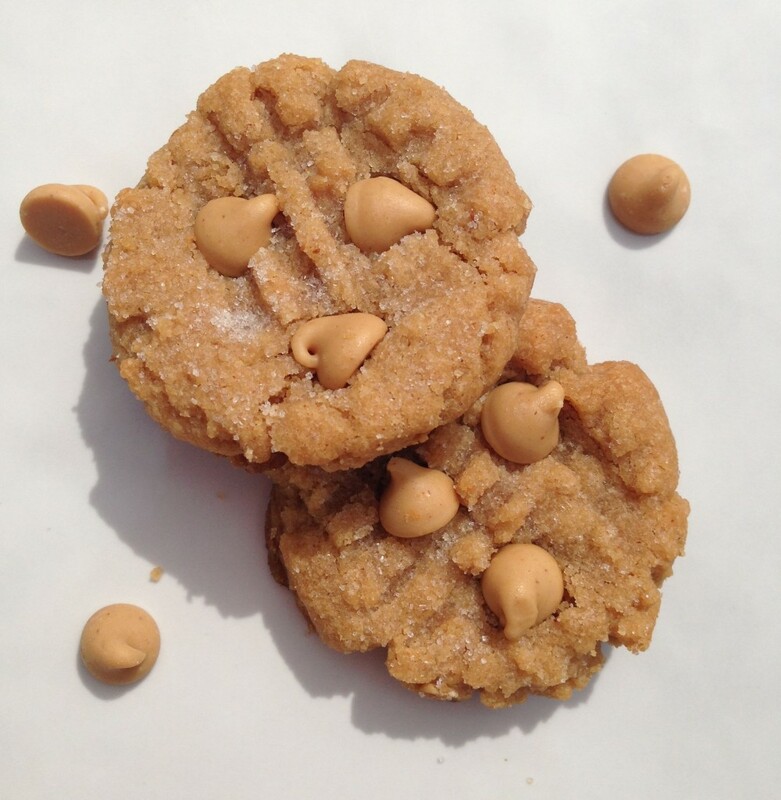 A pop of texture and added peanut butter flavor? Can’t go wrong. Mix altogether. Drop by rounded teaspoonfuls onto ungreased baking sheets. Using a fork, make a criss-cross pattern with the tines to flatten the dough ball slightly. Sprinkle with sugar. Bake at 350 degrees for 8-10 minutes. I *always* double the recipe. Trust me, you will want more. Enjoy! Are these not soposed to have flour in them? That’s correct! They do not have flour in them! I just made these and they came out AMAZING! 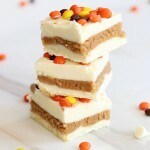 I doubled everything in the recipe except for the vanilla and they were incredible! The cook time did take a little bit longer (about 11-13 minutes per pan) but they may just be my altitude/type of pan I was using. Definitely making again! Love the cookies. 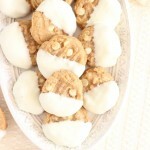 My husbands favorite cookie has always been peanut butter cookies. He went crazy for this recipe. Making them again for Christmas Eve. These are my favorite! 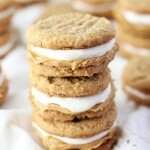 They’re super peanut buttery and so easy!!!! So glad you liked them too! I doubled the recipe, but my batter was extremely crumbly, and didn’t want to stay together. I ended up adding some milk to bind it together. Stroll tasted good though! How weird.. my friend made these and said her dough was too runny. I’ve made these for YEARS!! and never had a troublesome batch. I’ve made these since 1998 or 1999! I’m sorry the dough was crumbly, but I’m so glad that you still liked them when all was said and done. 🙂 Thank you for the feedback! 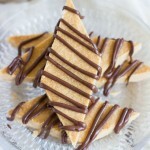 These are so easy to make and received AMAZING compliments!!! The dough was a bit soft while putting on the cookie sheet (had trouble making fork imprints) and soft after baking. They did harden after sitting ……… so good. 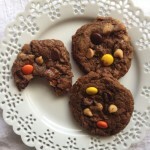 I just checked out your recipes and am so excited to try so many more!!! Thanks !!! !